Heroes, Heroines, and History: Christmas Trivia and giveaways! 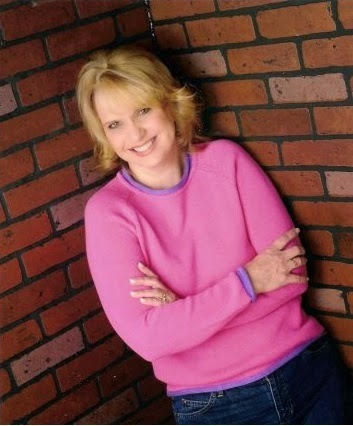 Debbie Lynne Costello here with a few questions for you. Who out there loves Christmas? Do you consider yourself a pretty good expert on things about the Christmas holiday? We all love a little trivia, right? I've put together some fun Christmas trivia to test you knowledge. So grab a pencil and a piece of paper and write down your answers. When you finished you can continue to scroll down for the answers. Good Luck and no googling! LOL!! Let me know how you did and which ones surprised you or stumped you. I'm giving away a copy of SWORD OF FORGIVENESS, and a glass Christmas ornament. Share on FB and/or twitter and let me know for an extra entry. After 10 people leave comments I'll add another Christmas ornament for every 5 new commenters. I'd love to give away 5 or more ornaments! Don't forget to leave your email address and let me know if you shared. Giveaway ends 12/12. 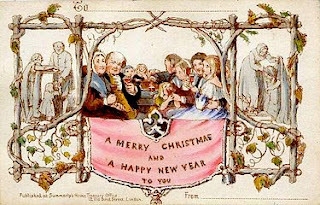 1) What year did December 25th become the official date for Christmas? 2) Who was the person responsible for making December 25th Christ's birthday? 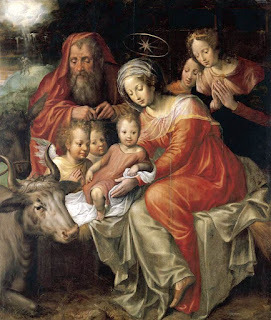 3) What is the earliest known Christmas tree decoration? 4) This country's Christmas trees had mass destruction of their trees. So people could still celebrate the holiday with a tree they made the first artificial Christmas tree out of dyed goose feathers. What country was this? 5) What year were Christmas trees first sold in the US? 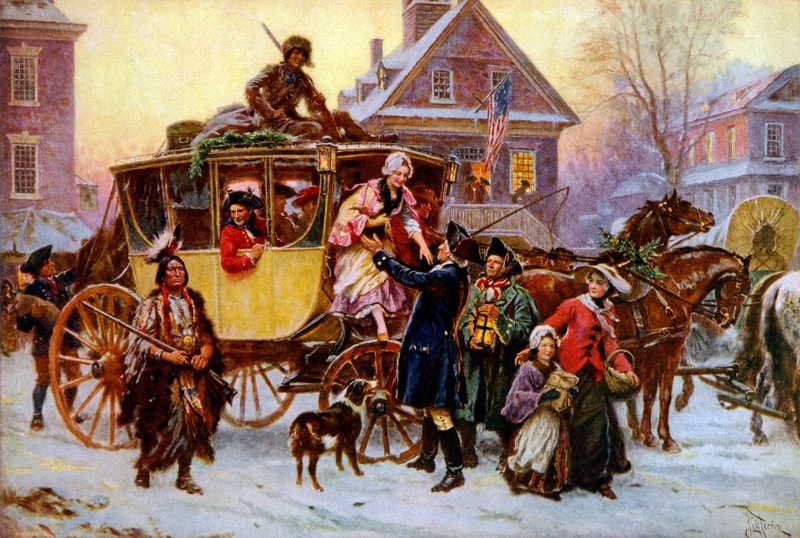 6) What was the first state to recognize Christmas in 1836? 7) When did December 25th become an official United States holiday? 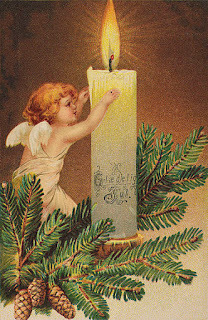 8) What was the last state in 1907 to declare Christmas a legal holiday? 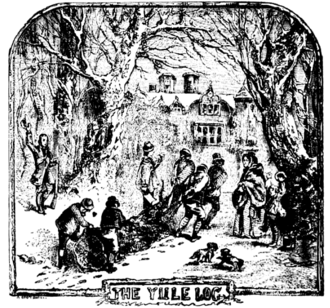 9) How many days is the Yule Log burned? 10) We all know that Santa Claus is based on the real life person St. Nicholas of Myra. But do you know what century he lived in and what country he was from? 11) Who outlawed Christmas celebrations and carols in England from 1649-1660? 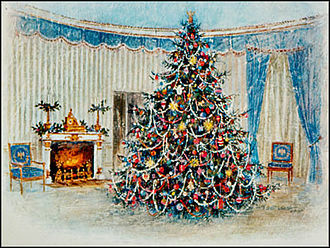 12) There are two claims to what president put the first tree in the White House. Who are those 2 presidents? 13) What environmentalist president banned the Christmas tree from the White House? 14) What was invented and commissioned by Sir Henry Cole in 1843? 15) Why was December 25th chosen for Christmas? 16) How much did it cost to send a Christmas card within the same city early in the Victorian era? 17) What country created eggnog? 18) What automobile manufacturer was born on December 25th, 1878? 19) What country did Joseph, Mary, and Jesus go to after they left Bethlehem? 20) What year were flashing Christmas lights introduced? Now some less historical but fun trivia. 21) What shone out of the darkness in the song, "Go Tell it on the Mountain"? 22) What two words were used to describe Santa's beard in "I Saw Mommy Kissing Santa Clause"? 23) In "Frosty the Snowman", what are the hills made of? 24) In "Little Town of Bethlehem", what kind of souls will receive Him (Christ) still? 25) In the last verse of "Jingle Bells", the writer tells the young men to get a certain type of horse, that can go a certain speed, and to hitch him to your sleigh and you will lead the way. What is the type of horse and how fast can this horse run? 26) What was the last thing that Frosty said? 27) What does Alvin the chipmunk want for Christmas? 28) How many wisemen were there according to the bible? 29) In the song "Silver Bells", what is dressed in holiday style? 30) Where is everyone dancing and prancing in the song, "Jingle Bell Rock"? 31) What is the biggest selling single song of all time? 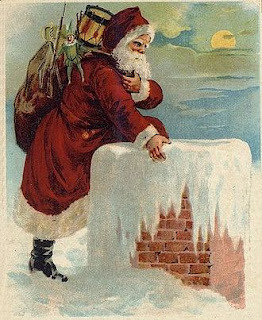 32) In "The Night Before Christmas", which reindeer was never mentioned? 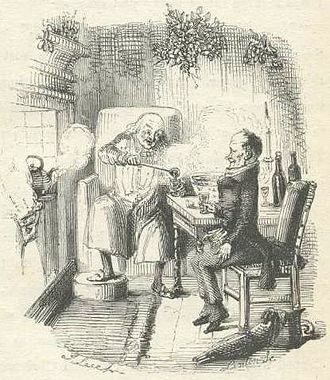 33) What was Scrooges deceased business partner's name? 34) What is Tiny Tim's Father's name? 35) In "Winter Wonderland", where can you build a snowman? 36) In Miracle on 34th Street, Kris Kringle tells a shopper that the rival store, Gimbels, has better what? 37) Which Ghost did Ebenezer Scrooge fear the most? 38) In A Charlie Brown Christmas, how much does Lucy charge for her psychiatric advice? 39) How many gifts would you receive if you received all the gifts in "The Twelve Days of Christmas"? 40) How many times was Santa Clause mentioned in "The Night Before Christmas"? And now your answers to see how you did. 15) Because pagans were exalting false deities on that date and the church leaders thought to steer them to the One and True Deity. The Christ. 26) I'll be back again some day. Pictures are courtesy of Wiki. Fun post! I'm going to "steal" some of these for a Christmas gathering next week :) Merry Christmas! Yay! Glad you enjoyed it Golden! Steal away! I couldn't believe how long this post took me to do! Longest research of any of my posts I believe! I didn't know a lot of these questions! I had 10 partially correct and number 37. This was fun! Thanks, Debbie!! Thanks for participating, Regina! I'm glad you enjoyed it! Cool questions and info. kamundsen44ATyahooDOTcom. Thanks, Kim! So glad you came by and enjoyed the trivia. Thanks for the fun trivia. I learned many new things! Thanks for coming by. I'm so glad you enjoyed the trivia. And thank you so much for sharing! I am sorry to say that I did really bad on these questions. I probably got only a handful correct. I learned some interesting things though! Thanks for the fun and the giveaway! I shared your giveaway on twitter as well. Confession time, Loraine! I did terrible, too!! These were some tough questions. I wanted some things that most people didn't know, including me! Thanks for coming by and for sharing. Good luck in the giveaway! 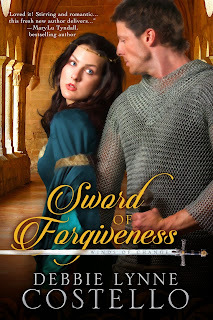 Thank you for the chance to win a copy of "Sword of Forgiveness", it's been on my want-to-read list. I've also shared on both Facebook & Twitter! Hey Trixi! Thanks so much for coming by! 6 is really pretty good! Those were super tough questions. I didn't know them either. LOL. Took me forever to get this post written. I really appreciate you sharing on FB and Twitter. Good luck in the drawing! I hope you win in one of my giveaways!! Love to win! Thanks for sharing, Debbie Lynne. TSL9Snodgrass(at)aol (dot) com. Shared. Thanks for coming by, Susan! Good luck! Great trivia. I had 19 thanks to a crossword loving and old time singing family. Sword of forgiveness sounds very interesting. Thanks for the opportunity. Thanks for sharing, Annie! Wow you did awesome! 19 was really good. Those were tough questions. Good luck in the drawing! Oh man, I did horrible on this. What fun to learn, though! Some neat facts. Thanks for sharing! Hey Susan. I'm glad you had fun answering the trivia questions. They were super tough! Good luck in the drawing! Congratulations,Trixi! You won a copy of Sword of Forgiveness! Congratulations Kathleen Lane Hill House you won a set of Christmas ornaments. Thank you for coming by!